In a survey report, youngsters say the current schooling system that focuses more on rote learning doesn’t equip them with practical experiences to cope with contemporary professions. Has education failed to equip millennials and Gen-Z’ers with the right skills to negotiate their way to success at work? 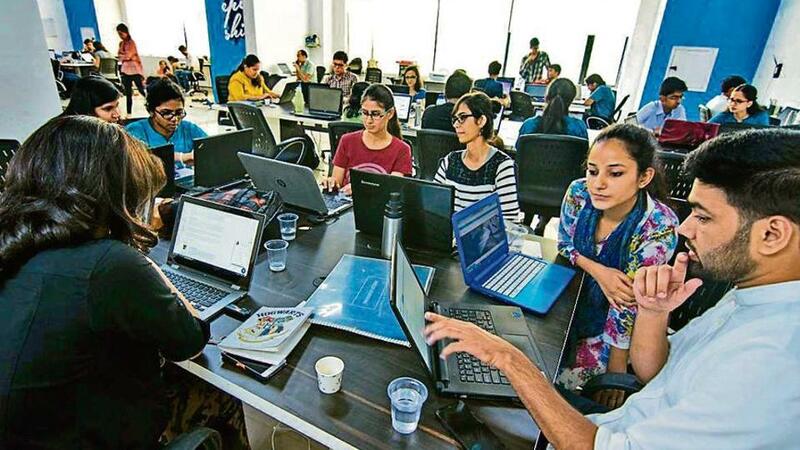 The verdict is damning — education is not contributing significantly to employability, say India’s Generation Z, also known as Gen Z’ers or iGeneration, born during the mid-1990s, and the millennials preceding them. In this age of self-love through selfies, youngsters also feel self-development and good personalities increase chances of employment, a Hindustan Times-MaRS Monitoring and Research Systems survey indicates. Today young people are feeling out of their depth in workplaces revolutionised by artificial intelligence and automation. This is because of lack of career counselling services in colleges and universities. Inadequate academia-industry linkages are also not equipping them with enough practical experience to easily negotiate through the first years of their working life. The survey, to assess the efficacy of India’s education system, connected with 1,680 young professionals, both men and women and graduates and above, aged between 21 and 27. Those surveyed are employed for three years or less, pursuing new-age careers in digital entertainment and media, retail, e-commerce, social media, digital advertising and media, BPO and start-ups and work in six base metros: Mumbai, Delhi, Kolkata, Bengaluru, Hyderabad and Chennai. “Today, we work with over one million children in over 3,000 schools and have visisble evidence that foundation for employability skills can be laid early at the elementary schooling stage,” says Ashish Rajpal, founder of XEED. Only 26% of the respondents feel that their education has contributed highly to their personality development or interpersonal management skills, the two key traits required for interviews and employment. On the problems faced, 74% say their college and university syllabus and courses are not updated regularly. Eighty per cent feel they missed out on opportunities for personality development while studying. Employees from India’s financial capital Mumbai (89%) and Kolkata (86%) and Hyderabad (84%) feel they lack practical work experience because of inadequate industry-academia linkages. Seventy nine per cent say colleges and universities do not have counselling services on place. Why this does not surprise Ashish Rajpal, founder of global learning company XSEED, is not hard to fathom. A Harvard graduate in education, he feels development of skills to solve real-life problems, communicate and collaborate with others are critical to succeed in 21st century workplaces. However, the current schooling system focuses more on memorising facts such as historical dates, scientific definitions and mathematics formulas. Consequently, young people leave schools with grades and certificates but are lacking in practical skills and confidence. Samriti Sharma, a computer science and engineering graduate working with Paytm in Noida agrees. Her college in Amritsar failed to equip students with the ability to think logically – a must in engineering careers. “Education in tier-2 or 3 cities is very generic, not like what they teach in the IITs,” she says. Interestingly, 26% of millennials and GenZ’ers feel they have secured jobs through the sheer power of their personalities. Thirty per cent of these respondents are from digital entertainment and media and social media. Self-development, 24% respondents feel, results in job offers. Personal initiatives to improve their skills pay rich dividends, say 29% from social media. “Education in tier-2 or 3 cities is very generic, not like what they teach in the IITs...To get a job, I had to work on my communication skills and confidence level. Guidance from friends in IIT also helped,” says Samriti Sharma, professional. Her disappointment with the highest annual package of just Rs 5 lakh in her college placements spurred on Sharma to do her own research to “crack a high-salaried e-commerce job”. She trawled the net to find out from Linkedin or Naukri.com what hirers were looking for in sectors she was interested in. “I had to then work on my communication skills and confidence levels. Guidance from friends in IIT also helped,” Sharma says. Himanshu Pratap, team leader in sales and marketing, Justdial, in Noida, however, agrees with the 21% survey respondents who feel contribution of education to their current jobs has been “high”. This graduate from a B-school in Dehradun says his teachers’ advice that he get digital media and six sigma certifications helped him land a job. Though the scenario looks bleak, Rajpal, who quit an international corporate career in Paris to pursue his passion to work for the education sector in India, feels there is hope if the system is overhauled at the primary level. and have visible evidence that foundation for employability skills can be laid early at the elementary schooling stage,” he says. For that, Rajpal says, children will need to understand the world around them by asking questions, experimenting and drawing inferences rather repeating what is there on the textbook. They should be given the opportunity to “make and break” things that solve real-world problems. Giving children the freedom to express their own thoughts and feelings without fear is critical too. When children learn how to understand, apply and communicate early in life, they also gain the confidence to take on new and difficult problems in the workplace when they grow up, he adds.